As the name implies, this type of wood flooring is solid wood all the way through, from top to bottom. It’s similar to any other stick of lumber that sawn straight off of the log on additional materials added. 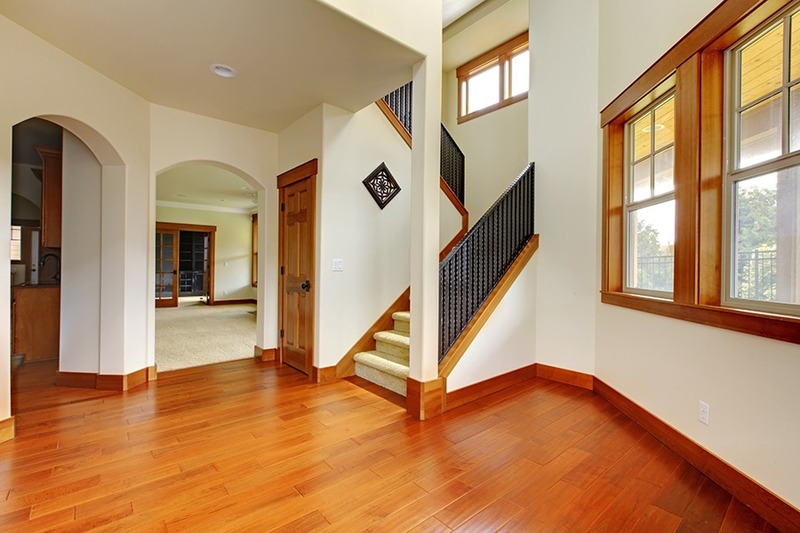 Hardwood flooring comes either unfinished or pre-finished. Unfinished hardwood requires immediate light sanding, staining (optional), and sealing after installation. With pre-finished, you can walk on it right after installation. With unfinished, you need to limit usage until it has been sealed. After sealing, you will need to wait at least 48 hours for the sealant to dry. Even then, additional coats may be required. With unfinished, the advantage is you can stain it and seal it to your exact specification. With pre-finished, the advantage is the quick turnaround time. Hardwood flooring’s greatest advantage is that it can be re-sanded numerous times, extending its life literally for decades. Its greatest weakness: it cannot be installed in moist areas such as basements or bathrooms.